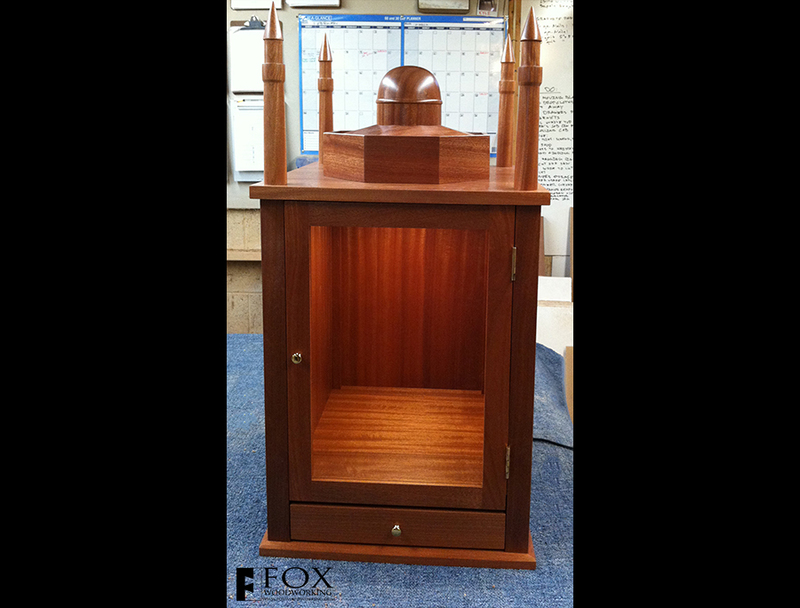 This sapele Koran case is built of solid sapele with sapele plywood side panels. 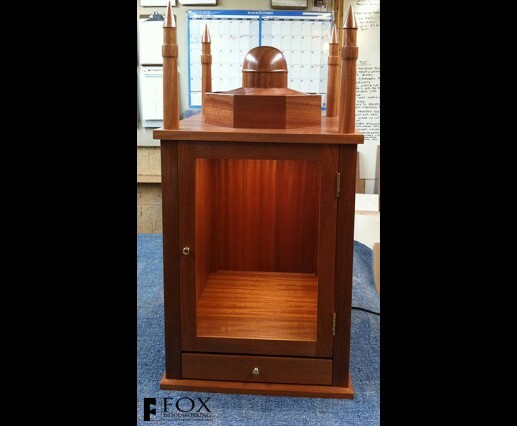 It is meant to display an historic, two volume Koran. While one volume is on display, the other can be stored in the small drawer below. Lighting is provided via an LED fixture. 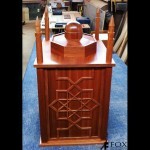 The top is a representation of the Dome of the Rock (surrounded by minarets) located on the Temple Mount in Jerusalem. To see a side view that shows the geometric scroll work, click here.